Perhaps the witch can reunite her with her lost parents. Awakening the witch, however, brings more than salvation from mourning, for Honoria discovers a past of missing children and broken promises. To save the citizens of Arnn from becoming the witch’s next victims, she must find the truth behind the woman’s madness. Review: First I would like to thank the author for giving me the opportunity to review her book, but that didn’t alter my opinion in any way. My thoughts here are my own. This book was not at all what I was expecting. The thing is, I don’t what I was expecting. Sure, from the synopsis, I knew that something cliché would happen, but even though something cliché did happen, the twists about it were totally… new. The story starts off with Honoria trying to fit at her new school, where she meets Amanda and Harley, two girls who talk to her about Witchwood Hollow. From the beginning I did not like these two. At all. I had a bad feeling that something would happen whenever they were together with Honoria, like they were going to do something to her or whatever. I did not hate them, but they just got on my bad side. (and later in the story I was proven right, haha!) Besides that, I liked Honoria. She is a very realistic girl who tries to mend her broken heart after the death of her parents, and I actually feel that she was brave. 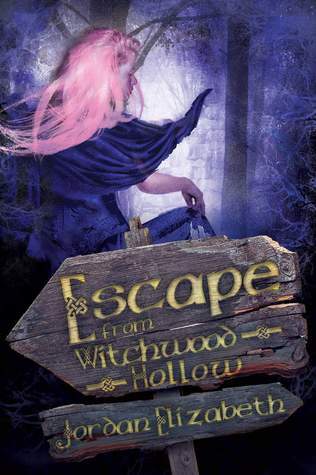 I enjoyed reading her chapters and how she did what she could to unravel the mystery of Witchwood Hollow. I also liked her relationship with Leon. Okay, it wasn’t a relationship as such but I loved how it was written and how Leon came to realise that he shared more interests with Honoria than with Harley and how together they searched for parts of Arnn history. I loved every bit of it. Until… you’ll know what I’m talking about when you read the book. What really surprised me about this book was that it wasn’t about one character, like I originally thought, but about three characters, whose lives intertwined during the course of the story. That was totally genius. First you meet Lady Clifford, back in the 1600s. I liked reading her chapters but I feel that, even though we come to understand her, I think that instead of clinging to the past she should have moved on. She is a strong, independent woman who wants things to be done her own way, and I respect that (especially for a woman in that time) but she could have displayed her strength in another way instead of doing what she did. I feel that at the end she became more heart broken, which is why she refused to change (also I think that what she did was comparable to the behaviour of a spoilt child, which was very annoying). But I’m happy that she managed to be happy at last. Albertine is the third character that we meet in the book, and she was definitely my favourite. I won’t tell you how me meet her (because 1. it’ll be a spoiler and 2. I’d love that you discover her by yourself ) but I love how she is devoted to going back home. She is one of the characters who always had hope to go back (unlike Lynn who’s beaten-up behaviour annoyed me) and I love how she wants the best for her sister and I also loved when she realised who Angela was (I did cry a little 😉 ). I love her strength and how, despite whatever happens, she clings to the hope of getting back to Arnn. I recommend this book to all of you! Tell me if you want to read it in the comments below!